Jay Suites is a pioneer of the office space rental market in NYC, providing fully-furnished, luxury office rentals with shared amenities in New York City. The moment you step off the elevator you will recognize the high-end quality of Jay Suites and what separates us from other NYC shared office spaces. 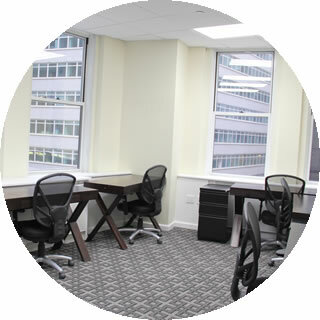 Our private office space for rent NYC come complete with amenities including grand reception areas, state of the art conference rooms, lounges, mobile hotspots and a professional staff. Members enjoy flexible terms and a simple all-inclusive plan accommodating the needs of businesses across the spectrum from entrepreneurs to financial managers and lawyers. Jay Suites originated in a commercial real estate market saturated with high overhead costs, long-term leases and little understanding for the budget driven entrepreneur. We weren't afraid to break the mold and create affordable office space for rent NYC where offices work better, with our mission focused on always providing the best professional support for the best office rental NYC at the best rate. We sought to create an all-inclusive shared office space NYC with modern decor, cutting-edge technology as well as security and accessibility at its core. First impressions can make or break a potential business relationship. We had this in mind when designing our NYC office space rentals. Each of our locations feature high ceilings, Venetian plaster walls, and exceptional lighting. Our NYC office spaces come fully-furnished and feature VoIP phones with unlimited Wi-Fi access, lockable, frosted glass sliding doors, and executive-caliber desks. Maintenance, utilities, and cleaning services are included in each plan for our shared office space in NYC. Our sophisticated NYC conference rooms are always ready to impress and available at affordable rates. In fact, as a benefit to renting a Manhattan office space from Jay Suites, a conference room allowance is available to you so you can reserve the meeting rooms on-demand hourly or for the entire day at your convenience. Our designated mobile hotspots and chic member lounges are a great space for working on the go or having a brief meeting with a client. When you rent Manhattan office space as a Jay Suites member, you will have full access to all of our amenities. The pantries are perfect for taking a break from the daily hustle where you can stay up-to-date with round the clock news coverage broadcasted on HD Samsung TVs. Every Jay Suites location has a break room fully equipped with a stainless steel refrigerator and microwave, convenient for bringing lunch from home. The snacks and Starbucks Coffee vending machines come in handy whenever you need a quick pick me up. We also have complimentary sodastream filtered and carbonated water machines available. Jay Suites is the ideal place to rent office space in NYC - hands down. Looking to rent office space in NYC? Every one of our buildings is doorman-secured and feature 24/7 biometric member access for optimal security. Commutes are a breeze with each of our locations situated just minutes away from all major transit hubs. From Midtown to the Financial District, we leave you to decide which location will work best for you and your business. Jay Suites has reinvented traditional pricing for NYC shared office space to be all-inclusive and cost-effective with no reinstatement costs or additional obligatory fees. Where else can you find luxurious private office space for rent that includes grand designer lobbies, selection of executive meeting rooms, and fully-furnished office rentals in NYC complete with high-speed internet and VoIP phone systems all at a fixed rate? You can have prestigious NYC shared office space in any one of our prime locations for a fraction of the original costs. We are able to accommodate your needs for flexible office space rental as your company expands without costly long-term commitments. Whether it's a temporary office space NYC you desire, or more of a permanent requirement, Jay Suites has the NYC office space rental solution contingent on the needs of your business. It has been shown over and over again that there is a direct correlation between the work setting and productivity. Noise, lighting and layout have been known to influence overall employee satisfaction and team cohesion. According to a study conducted by the Harvard Business Review, "Employees in open plan spaces, knowing that they may be overheard or interrupted have shorter, more superficial discussions than they otherwise would." Privacy should not have to be sacrificed just because you work out of a shared NYC office space, especially if your business handles confidential information. Our private office spaces for rent in NYC feature lockable frosted glass doors that generate a working environment conducive to productivity maximization and utmost discretion. Our NYC workspaces are natural environments for professional networking. One of the many perks of joining the Jay Suites community is the exclusive access to member meetups. We are proud to offer meetups and encourage our members to host events within our spaces. When you rent office space in NYC with Jay Suites, you can take advantage of our meetup opportunities where you can network with like-minded entrepreneurs that can provide the right inspiration, motivation, and information to bring your business to the next level. Our community events are invaluable and can lead to possible partnerships, support and potential clients. Submit your own meetup idea by contacting meetup@jaysuites.com. * Starting prices shown above. 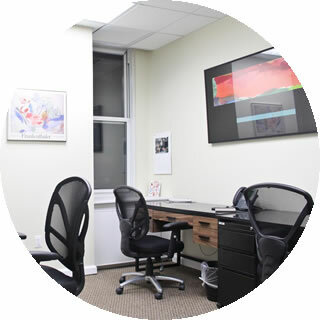 "This serviced office rental NYC offers a great deal. A turnkey office solution at a price that's hard to find in the center of the Wall Street area, plus an all-inclusive package that includes the basic amenities such as furniture, internet and phones with the office space. They rent office space NYC, meeting rooms and even a temporary office rental NYC by the hour. It's hard to believe you can get a private office space for rent, in a luxury suite with full time staff in a classic building next to the New York Stock Exchange for the price they offer at Jay Suites Fidi...but it's not too good to be true, it's true! A small office space for rent NYC is always available on-demand!" "Jay Suites offers excellent furnished office spaces in NYC with full amenities including coffee, snack machine, purified water and much more. Great location in the heart of Times Square with easy access to all subways. 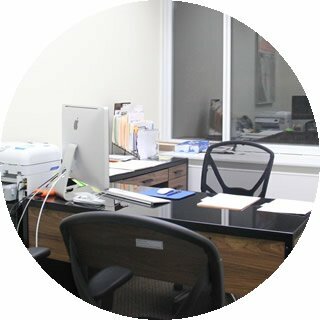 Professional and friendly staff are always ready to offer assistance from computers, to phones. It's affordable super space and numerous available conference rooms make it the ideal location for companies looking for shared office space NYC! They can easily accommodate the need for large and small office space for rent." "We are members of the 34th Street Herald Square location and it is a great, office space for rent NYC. My clients come in and are instantly impressed with the layout and the cleanliness. The staff are wonderful and very helpful. For the modest rent paid, you do get usage of conference rooms, a kitchen, hot spot, and of course a very nice patio. Great value."